After years of managing inpatient and outpatient facilities and programs, Ms. Hunt founded Pinnacle Behavioral Health IPA, LLC in the Spring of 2001. Her years of experience in the field had created a strong desire to help people transform their lives and provide a place for them to achieve that goal. Her dedication and strong commitment to her patients, practitioners and her body of work has earned the respect of her colleagues throughout the region. 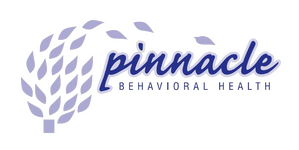 Many of the Practitioners at Pinnacle Behavioral Health, IPA, LLC were co-workers before providing services at Pinnacle Behavioral Health, IPA, LLC. Ms. Hunt is responsible for all of the administrative details involved with running a business as well as the day to day operations of the office. In 2015 she conducted a search for an electronic chart solution and then coordinated the successful transformation from paper to electronic charts for approximately 3,000 patients. Committed to expanding the services offered , she oversaw the construction of expanded space throughout 2015 and in 2016 officially opened the additional space.